What sorts of things distract you most during prayer? What do you do when you feel distracted? Are some distractions holy distractions? *Shemoneh Esrei is the Amidah, the serious part of the service we recite with most of the congregation standing. Image: 19th c painting of Hasidic Jews celebrating Purim with a Sephardic Jew (left). The inscription “Ad lo yada” is part of a passage from Talmud urging Jews to feast and celebrate. Collection of Isaac Einhorn, Tel Aviv. (Erich Lessing/Art Resource NY.) Public Domain. The Scroll of Esther records a grave threat to the Jews of Persia, a threat that was quelled only by the massacre of our enemies. The book makes clear that there was no other way: it was a fight to the death. You might think that the “lesson learned” would be: Fight back, even if you have to kill. He commanded that the Jews of Persia observe the 14th and 15th of Adar. He commanded that they feast, send gifts to one another, and send presents to the poor. Hear the Scroll read aloud. The Megillah [Scroll of Esther] is read on the eleventh, on the twelfth, on the thirteenth, on the fourteenth, [or] on the fifteenth [of Adar], not earlier and not later. Cities surrounded with walls from the days of Yehoshua son of Nun read it on the fifteenth [of Adar]. Villages and large cities read it on the fourteenth, but villages read in advance on the day of assembly. That’s just a taste. The ancient rabbis were absolutely determined that we should hear the words of the Scroll of Esther every single year. If not one day, then another day. If not the other day, then yet another. They convey a sense of urgency in those lines. Mishnah is usually telegraphic, brief bursts of commands and questions, but here the rabbis hammer at us: Read it. Read it. READ IT!!! And if we look at their times, all becomes clear. The Mishnah was written down from oral tradition by the year 200 CE, just after two bloody revolts that scattered the Jewish people into the Galut, an exile, that would last for almost two thousand years. They had seen the murder of their greatest teachers. They had seen families torn apart, entire towns sold into slavery, their holy city ground into dust. They had seen the absolute worst that Rome could dish out, and they knew it would not end anytime soon. They knew that we needed Purim for all the days that lay ahead. The message of Purim is “Don’t give up.” The message of Purim is “Persist.” The message of Purim is that the bad guys are going to do what they do – they’re Haman! – but we will not be defeated. We are so sure that we will not be defeated that we schedule our celebration in advance. Yes, in a good year, it’s a children’s holiday. But in a tough year, in a year when our dead are defiled and our Jewish Community Centers receive threat after threat after threat, we remind ourselves that we are tough competitors, so tough that we will schedule our celebration amidst it all. We will not be intimidated. We will not let you see us sweat. Those are the defiant messages of the holiday of Purim. We celebrate to remind ourselves of that. Posted on March 8, 2017 March 8, 2017 Categories Anti-Semitism, PurimTags Mishnah1 Comment on Why Is Purim Essential? Image: Shrine of the Book in Jerusalem (Dead Sea Scrolls). Photo by Ricardo Tulio Gandelman via Wikimedia, some rights reserved. Jews are often called the People of the Book. Truth be told, that Book is very large indeed, more of a library than a book. There’s Torah itself, made of five books. Then the Tanakh, the Jewish Bible, 24 books, although some of them are divided into Parts I and II. Then there is the Midrash, the Mishnah, and the Talmud… on and on. Maybe we are actually the People of the Library! Many (but not all) of the components of our library came into being in the Land of Israel, the history of which is bound up with our understanding of the books. That is the reason that I teach the two together, from Biblical Israel to Modern Israel. Because of the nature of the class, students must be able to name a local rabbi with whom they can confer. Note that the point of view of this class will be that of its teacher – me – a Reform rabbi. I am qualified to address these matters from a progressive point of view. For an orthodox point of view, you should take a class from an orthodox rabbi. There are two parallel classes that will begin in January. One is an online class, with registration in the Lehrhaus Judaica website. This class runs for 8 weeks, beginning Sunday, Jan 15, 3:30 – 5pm Pacific Time. Click this link for information on the online class. If you live in the East Bay portion of the San Francisco Bay area, I also offer an in-person class on Wednesday evenings at Congregation Beth El in Berkeley, CA. That class will begin on Wednesday, January 18, 7:30 – 9pm Pacific Time. Click this link for information and registration in the Berkeley class. Tuition is $90 US for 8 weeks. This class is the winter segment of the Introduction to the Jewish Experience class; it also functions as a stand-alone class. No prerequisites. “Talmud” is one of those words that mystifies many non-Jews. Anyone with knowledge of Western Civilization has a frame of reference for “the Bible,” even though our Bible is slightly different from the Christian Bible, but “Talmud” – what is that? Here’s the simplest answer I can give you: Talmud is a record of discussions that took place over roughly 500 years. The subject of those discussions was “How To Live a Life of Torah.” It includes not only majority opinions but minority opinions and lengthy digressions. These lengthy discussions were necessary because the Torah itself comes to us without operating instructions. For instance: the Torah says “Keep the Sabbath” and “Remember the Sabbath.” How do we keep the Sabbath? What does it mean to remember it? Something that seems straightforward (“An eye for an eye, a tooth for a tooth”) turns out to be complex: “What about the case of the one-eyed offender who puts out one eye of a person who has two good eyes?” The rabbis argued about these things, and the discussions come down to us in the collections known as the Talmud. As you can see, it isn’t very long, just six volumes. Each volume is a large general topic: Seeds, Festivals, Women, Damages, Holy Things, and Purity. If that seems an odd way to divide things up, welcome to the study of Talmud. While sometimes the rabbis say things that seem amazingly modern, they lived in a very different time, under different circumstances, and their world was organized differently than ours. However, after the Mishnah was redacted (written down and edited) the discussions continued, now with questions about the Mishnah. They continued at rabbinic academies in Israel and in Mesopotamia (Babylon.) The continued discussion, the “new” stuff, would later grow into the Gemara [from the Aramaic gamar, “study.”] The Gemara discussions were not redacted until centuries later. The Gemara by the academies in Israel were redacted about 500 CE. The Gemara of the academies in Babylon were redacted about 600 CE. Mishnah: When is the earliest we say the evening Shema? Gemara: Voice 1: Why does this rabbi start with this question? Why not the morning Shema? Voice 2: He starts with this because of the commandment, “You will say them [the words of the Shema] when you lie down and when you rise up.” The time begins when the priests enter to eat their terumah [their slice of the Temple offerings]… and so on. They talk about terumah, and the priests, and what time the priests ate, and the grammar, and word meanings, and many other things. Some of the Gemara becomes a very central item of the tradition, and some of it doesn’t. There are recipes for beer, and cures for snakebite, and interesting (!) ideas about anatomy. Some parts of it are clearly out of date (the anatomy, for instance) and some very sophisticated (insights about grief.) All of it comes in a context, and without that context it is meaningless. 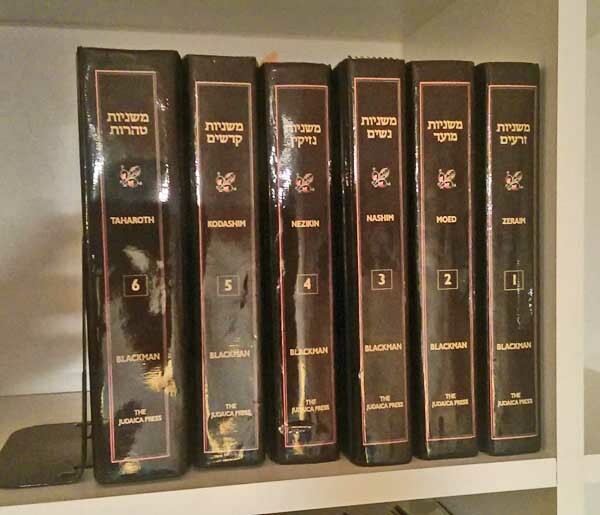 Rabbis study Talmud with a volume of Talmud containing multiple commentaries, one or two good dictionaries, a book of abbreviations, a Bible, and other references as well. If someone gives you a quote and says “It’s from the Talmud” be skeptical! What is the Talmud? It’s a record of discussions that took place between 100 BCE and 600 CE in the Land of Israel and in Babylon. While the general thrust of it is “How is one to live a life of Torah?” it include a wealth of other material. First, learn some Torah. The better you know your way around a Jewish Bible, the easier time you will have of it. Find a teacher. If there are no local classes available, use an online resource like 10 Minutes of Talmud. Acquire a friend. While a teacher can help you find your way, there’s no substitute for studying with and talking with a fellow student. Finally, don’t think you are going to master all of it. There is a program called Daf Yomi, where people learn a page a day of Talmud. When they get to the end, they begin again. They do this because as with every other aspect of Torah, there is no limit to the learning there. OK, so this wasn’t a very simple answer. Talmud isn’t simple. However, it’s part of our rich heritage of Torah, and it belongs to every Jew. Posted on November 1, 2015 Categories Especially for BeginnersTags Babylon, Mishnah, Oral Torah, Talmud, Written Torah18 Comments on What is the Talmud? Rabbi Tarfon is one of my favorites among the ancient sages. 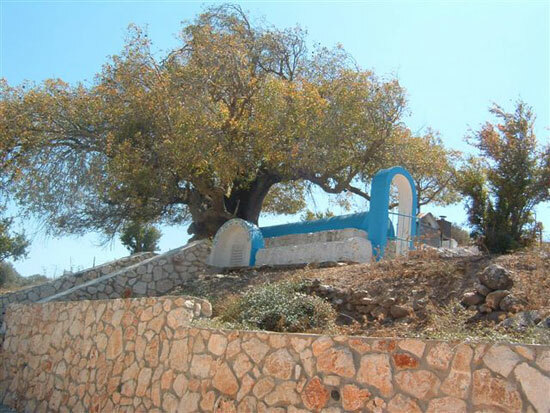 He was a rabbi of the generation between the destruction of the Second Temple (70 CE) and the defeat of the Bar Kochba Revolt (135 CE), a time of great upheaval for the Jewish People. Both of his parents were from priestly families, and he himself served in the Temple as a young man. More than one story about him mentions that his family was rich and that he enjoyed the “perks” that came from being a kohen. However, Tarfon seems to have been a modest, empathetic man who had genuine concern for the poor. Whenever he received pidyon haben, ritual ransom money paid the priests to “redeem” first born sons, he returned it to the new parents. When he saw a bridal procession of very poor people, he asked his mother and sister to take their perfumes and cosmetics and offer them to the bride. He was creative: during a time of famine, he negotiated betrothals with 300 women so that he could legally share his tithes of priestly food with them! Tarfon often disputed with Akiva, and he usually lost the argument. However, he was good spirited about such things, valuing learning over ego. The Talmud tells us that he was very loving to his wife and his children, and fond of his mother. One source tells us that he was murdered by the Romans for teaching Torah. His most famous quotation is the one at the top of this page. He understood that it can be very stressful to live a life of Torah, that the expectations are high. At the same time, we can take comfort in knowing that effort and persistence are good in and of themselves. I like to imagine Rabbi Tarfon teaching a student who is perhaps not as quick as the others. “Don’t worry, I see that you are making the effort!” he might say. Rabbi Tarfon understood what it was not to be the smartest guy in the room. He understood that a person’s worth lay in their character – as did his. I love this video by Rabbi Josh Strom of Temple Shaaray Tefila in NYC. When I first began learning Torah, I was in awe of anyone who studied Talmud. Then I joined a Talmud study group because I heard it was a great way to train a Jewish mind. One thing led to another and I went to rabbinical school! Talmud study is best with a good teacher, but it is possible for most Jews to access at least a taste of it. In our time, translations are available for those who do not read Hebrew or Aramaic, although some of the “good stuff” is only available if you have some of the language. The Mishnah is an ordered collection of the rabbinic interpretations of Torah, including the disagreements. In the chaotic Jewish world of the first two centuries of the Common Era, the head of the rabbis in the land of Israel decided it was important to write down these interpretations, so that they would not be lost. That happened in the year 200 CE. The Gemara is the continuation and expansion of those discussions, which were only well begun in 200. The Gemara is the continuation of those discussions and further expansions. Gemara was assembled in two collections, one in Israel (the Jerushalmi, or Jerusalem Talmud) and one in Babylon (the Bavli, or Babylonian Talmud.) The Bavli was completed in about 600 CE. Talmud is a set of discussions that seem to go everywhere and nowhere. Often people expect a law book, and are surprised to find that while it includes something like law (halakhah) it also has stories, recipes, and digressions (aggadah.) It is used by students to learn the tradition, to explore our heritage, and also to train minds. Don’t be afraid to give Talmud a try! It will expand your Jewish mind in directions that will surprise you. Posted on December 15, 2014 December 15, 2014 Categories Studying TorahTags Gemara, Mishnah, Rabbi Josh Strom, Talmud, videoLeave a comment on Let’s Study Talmud! This verse from Mishnah begins with sentiments that are challenging but easy to affirm: let your house be wide open! Let the poor be members of your household! Then it serves up what looks to be the worst sort of misogyny. Yosi ben Yochanan, a man of Jerusalem, says: let your house be wide open, and let the poor be members of your household. But do not engage in excessive conversation with the woman. In speaking to his wife, so much the more so his friend’s wife. Therefore the sages say, excessive conversation with the woman causes evil to himself and neglect of Torah and he will eventually inherit Gehinnom. At first reading, that’s not much better. Excessive how? Too long for what? Let’s look at context. The verse begins with two statements about the household: “let your house be wide open” and “let the poor be members of your household.” In the patriarchal society of the sages, the household was women’s domain, specifically, the wife’s domain. Given this context, is it not possible that this is a warning to the men to back off and not interfere in the domain of their wives? That also makes sense of the phrase, “so much more so his friend’s wife”: Don’t tell your wife how to run her house, and definitely don’t tell your friend’s wife how to do so! Yosi ben Yochanan, a man of Jerusalem, says: let your house be wide open, and let the poor be members of your household. But do not micro-manage your spouse about it, much less the spouses of your colleagues. Nothing good will come of it; it will lead to neglect of Torah and a bad end. I believe this text may be read not as a misogynist rant, but as a reminder to the men that they are not the bosses, or the experts, of everything. They should not meddle in the domain of their wives, and meddling in how other people’s homes are run is even worse. What can this teach us today? Stay humble. Remember that everyone has his or her area of expertise. The large principles are good — don’t neglect those first two items! — but I should respect the expertise of others, no matter how much Torah I think I know. Posted on April 11, 2012 Categories Jewish Living, Pirkei AvotTags Hebrew, Mishnah, misogyny, Pirkei Avot, Torah2 Comments on Misogyny? Or Something Else?